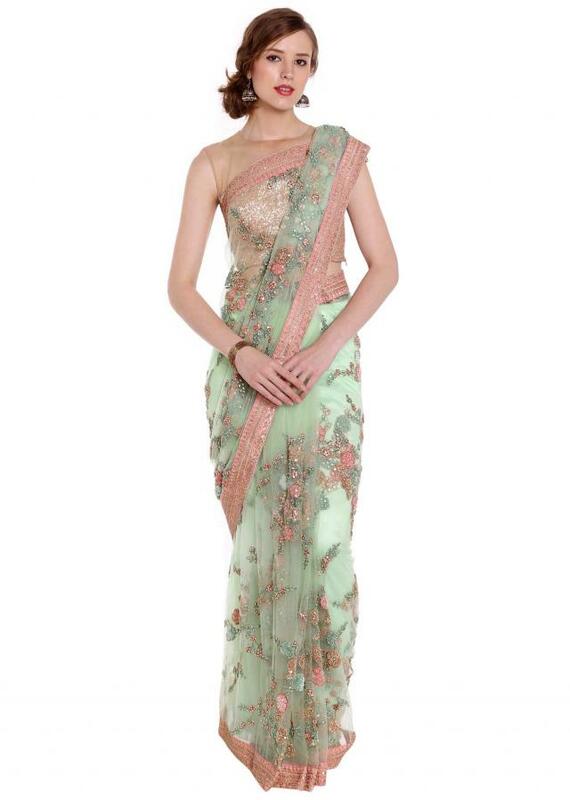 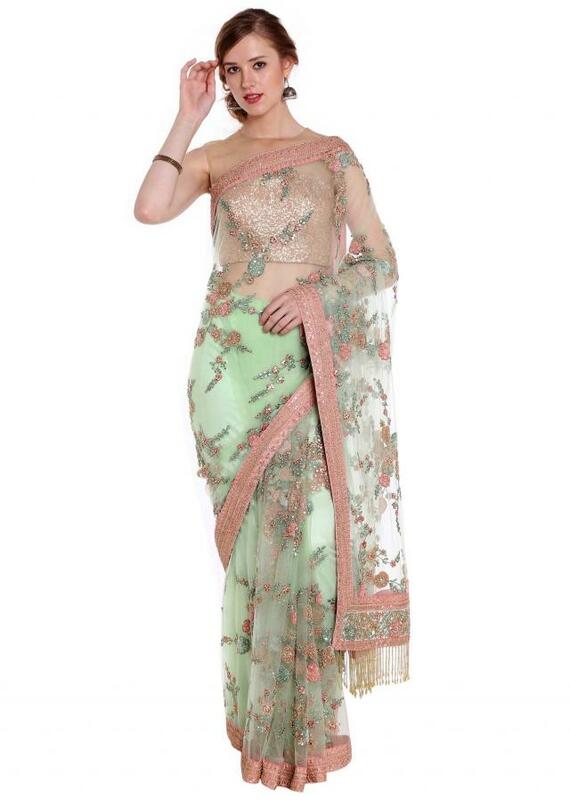 Featuring mint green embroidered net saree. 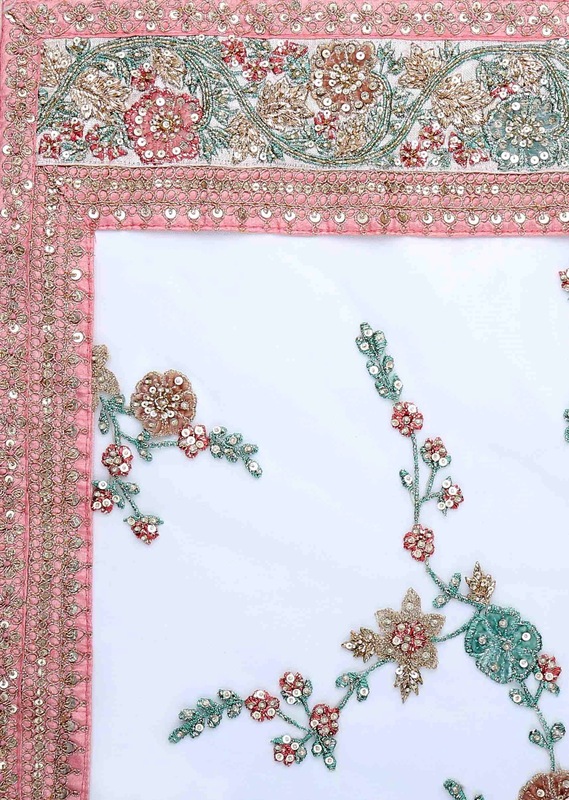 Its embellished in floral jaal in applique motif embroidery all over. 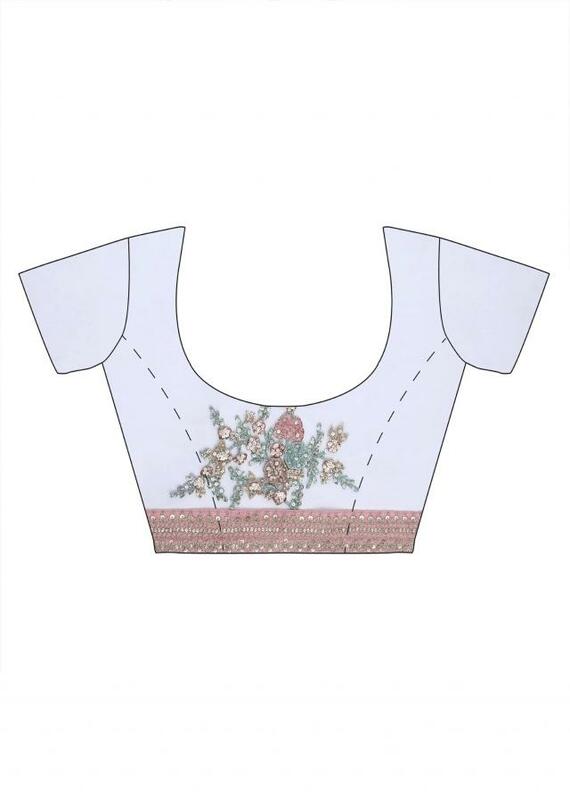 Blouse is unstitched in net.